Here at Jacksons Coaches Blackpool we take great pride in consistently giving our customers an excellent standard of service. As a family business established in Blackpool since 1970 the current management team grew up in the coach business and it is second nature to know exactly what is required to exceed your expectations. Our fleet of coaches is modern and comfortable. Our drivers have been with the business for years. 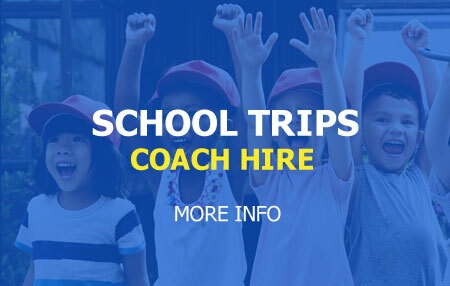 They have been allocated their “own” coach, and it shows in the care and attention they put into ensuring coaches are always immaculately turned out and they always arrive in good time to avoid any panic on the part of our customers. Our team of Drivers are the ambassadors of our business and their reputation for looking after our customers is first class. Our road safety record is of the highest order and the programme of safety and service checks for our coaches is exemplary. At Jackson’s Coaches we have a valued cliental of business, educational, club organisations and individual customers who come back time after time, recognising that we offer true value for money. Our Coaches provide services in the Blackpool area for Hotels, Airlines, Conference Organisers, Local Clubs, weddings and other Family Celebrations. Travelling further a field, we undertake Weekend trips to London and major sporting and entertainment events, and UK and European Holiday Tours on behalf of leading Tour Operators. Click here for the latest news within the Blackpool area. requirements for conferences and other business meetings in the Blackpool area. (click here to check the local weather forecast). At our extensive depot facility in Blackpool we can offer bus and coach operators secure parking and a range of bus and coach services when they visit the Jewel of the North.